Let's Escape in a Dreamy Land with JU Jewelry! Let’s Escape in a Dreamy Land with JU Jewels! 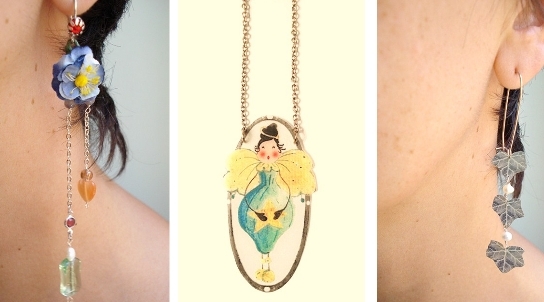 Raffaela Ciccia is a Rome-based jewelry designer. Being early supported by her mother to pursue a work in which she can express her creativity and fantasy, she developed a multifaced creativity. She worked as a restorer and decorator and so acquired over the years a deep knowledge of ancient and classical techniques and iconographic repertoires (she even worked in the Vatican!). Finally, she decided to create JU Jewels in 2005 and imagined 3 collections: “Passiflore” dedicated to her love of Liberty , “Forma & Materia” for the design part and “Antichi Profili” for her passion of ancient art. 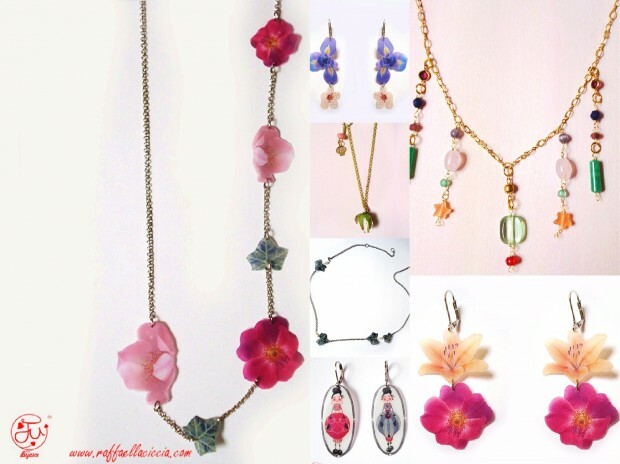 Then, in 2010 a new line has been conceived; characterized by details of flowers, lace, chains, stomes, rhinestones, crystals, buttons… We are totally in love with her oniric and dreamy jewelry! The care of detail and her artistic research is what makes JU Jewelry different. Her jewelry suits to refined and romantic women with a seductive touch and considering jewelry an extension of themselves. A JU Jewel adds an elegant touch for any occasion – at work, for a dinner… With the omnipresence of flowers, you’ll have a Spring feeling even during this winter. 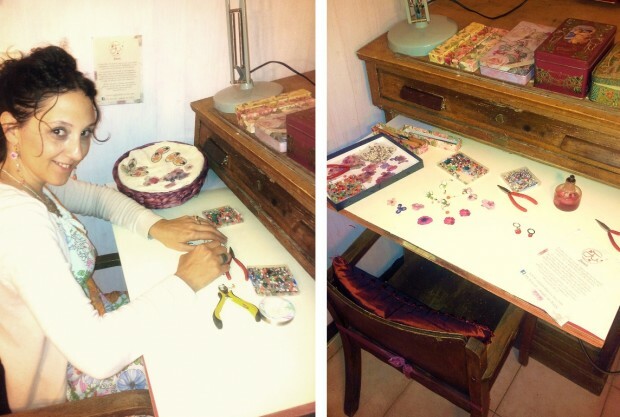 To know more about her, you can visit her website and you can shop her beautiful italian hand-made jewelry in her Blomming Shop!